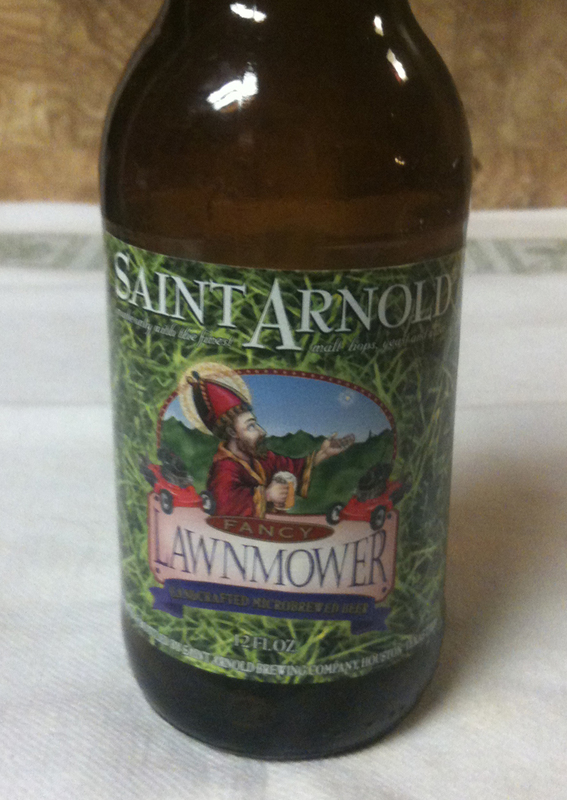 Another Texas beer, tonight's sample will be a Fancy Lawnmower from Saint Arnold Brewing Company. Their web site describes the beer as a German-style Kolsch. 4.9% ABV and 20 IBUs, in a twelve ounce bottle. This poured with a small, almost white head. The color is a pale yellow that makes you think of lemonade. Somewhat cloudy. The aroma has definite floral notes and maybe a hint of citrus. This is a fairly mild beer, but it has some nice malt. A slightly heavier mouth feel. 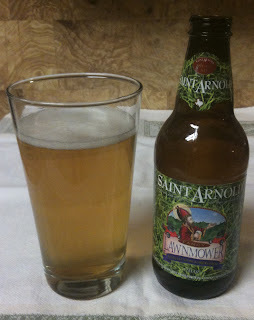 There is a bit of the floral note to the taste, which fades pretty quickly. No significant aftertaste.